A couple months ago, the web version of FindALostPet was launched. 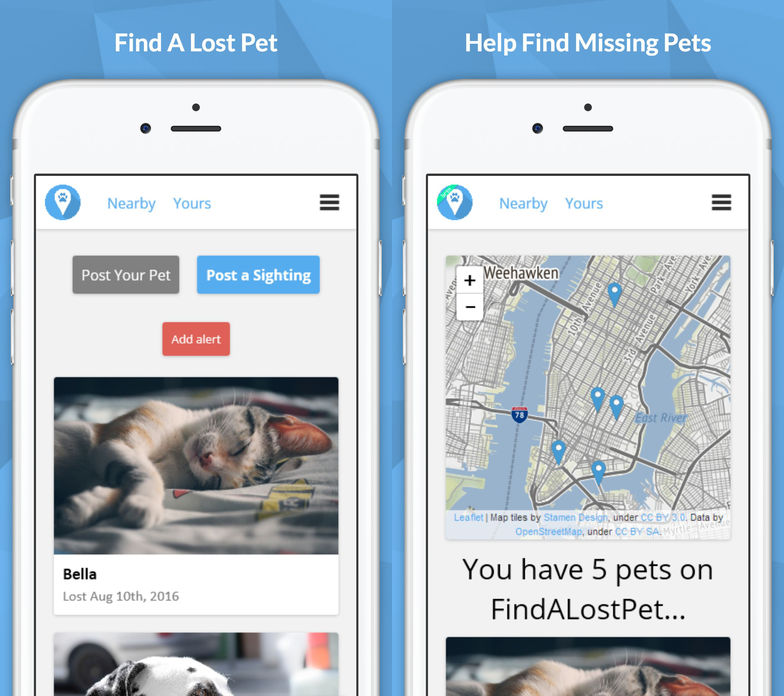 Now, it’s even easier to post your lost pet and find lost pets in your area; that’s because we’ve launched the FindALostPet app for iPhone. Just like on FindALostPet.org, you can post a sighting of any lost pet you see in just two taps (one to say you want to report a sighting, one to actually report it), and it’s just as easy to report that you’ve captured a lost pet. Same as on the website, we use artificial intelligence to route lost pets to their owners. And, if your pet is missing, you can post her or him right from the app, just as you would on the website. The app is ready for download right now in the App Store. Get it, then let’s see what we can accomplish together. We look forward to having you onboard! Also, if you have any suggestions, bugs to report or you just want to talk, feel free to email us: theteam@findalostpet.org.